Some people just need to get out of the house, go somewhere else, and workout or crossfit. By going to the gym, they can escape out of their homes and get a break for a short time. Then there is the rest of us. You find it silly to find a babysitter for just an hour to get your 20 or 30 minutes in the gym. You spend more time driving to the gym then your workout requires. Or any other reason that keeps you from working out, not having a home gym should be one. Many reasons exist for why you should have a home gym, but most of the time the idea of a home gym seems too expensive or takes up to much room. Expense does not have to be a huge deciding factor. There are some design necessities you can not skip, which we will list out. Also, we will take a look at what equipment you should have, which are mostly inexpensive, and do a little discussion over the machines that you can put into your home gym. Whether you have not thought about it before or have seriously considered a home gym, we will share the A to Z of what is necessary and what isn’t. People decide to invest in a home gym for one of two reasons. The first reason is the flexibility. You don’t need to leave the house and make an extra trip especially when the weather is bad. You don’t have to worry about keeping to a tight schedule. You don’t need to drive longer or farther than you plan to workout. The second reason comes down to the debate between the cost and benefits of a gym membership compared to the cost and benefits of a home gym. 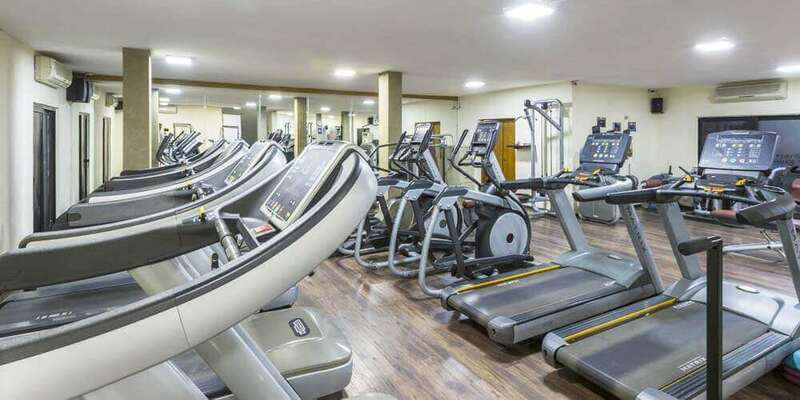 With a gym membership, the gym provides and maintains a variety of equipment for you at a cost, yet a home gym might be more expensive to get started but depending on your choices could save you money. Choosing a home gym does not mean that it needs to be filled with expensive equipment, which we will discuss later. While these are just two of the reasons, most people consider home gyms, some other reasons to make the leap into a home gym you might not have considered yet. The biggest is creating a room that motivates you. No more disturbing to others. No more music you dislike. No more posters that you do not want to look at anymore. In your gym, you decide what to put on the walls or play to get you motivated to workout and keep going. Once you close the door, privacy kicks in and even the worries about looking funny are now gone. Privacy is another good reason for a home gym and a big reason for me. So you debated the flexibility of working out, the cost of a home gym, smiled at being able to be yourself without people what, and probably dreamed a little about what music or motivation would fill the room, and the last reason fits right in. You can focus and push yourself. Without having to wait on another to move to the next exercise, you will be able to push yourself and get a good idea of what you can and can’t do. You can focus your training without having to deal with distractions. Now we have covered all the reasons why you should have a home gym; there are some necessities that all home gyms need. When designing a home gym, you think about the equipment you want and the layout of the room, but you need to start with bones and build up to equipment and layout. These bones include how much space you have to work with, windows or doors, lighting, and flooring, just to name a few. These are not steps to walk through, but you need careful consideration of all the pieces. Your space could affect your equipment or your equipment could have an impact on your area. So the recommendation is to go through the basic bones of a room as well as the equipment section, not as a step by step, but pieces of a whole. The first factor to consider is how much space you have to work with. This could be just a little part of the basement renovation to the entire basement, an extra room, or even a piece of the garage. You could decide that you are not worried about privacy or distractions so much and carve out a piece of a room. Most suggest at least having a space to be able to close the door to have the privacy and decreased distractions. The next factor is to think about the kind of the floor you are going to need or use. Options include rubber flooring or carpet. While rubber flooring is an inexpensive choice, there are some challenges with using this kind of flooring. The biggest problem is it can gain an unpleasant odor. Carpet can provide more of a cushion for exercising. There are green, sustainable carpets which can reduce an odor problem. Placing rubber flooring under the carpet increases the cushion. Lighting is also a choice to think about. Not only do you want a well-lighted room to be able to see well, but it also adds energy to the room that aids with exercise. If you have a lot of natural lighting to the room, then a few overhead lights will do the job. If your natural light is limited, you need to pick lights to brighten the room. Circulation is a big consideration. Gyms are places where a lot of sweaty work takes place. Working to make sure the room can stay cooler and provide good circulation. Overhead fans will help move air around, but also consider other ways to move air around such as the windows, doors, and vents. 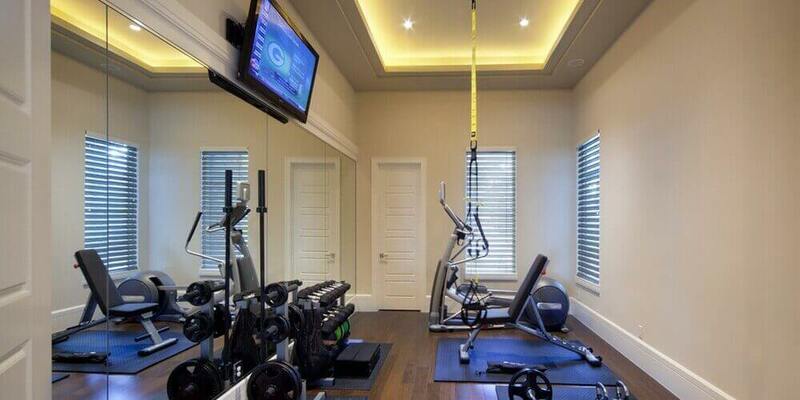 Many gyms contain mirrors. 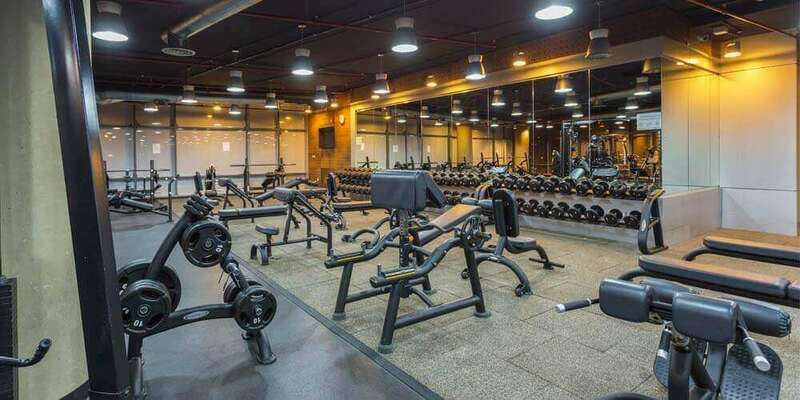 Some dislike the idea of putting mirrors in a gym because it causes individuals to focus more on the area that they can see in the mirror rather than focusing on the whole body. On the other side, some recommend mirrors because you will be able to see yourself completing the exercise. It means you will be able to judge whether you are completing the exercise correctly or not. For example, an activity that requires you to squat down, so you are level with the floor, mirrors can assist you in making sure that you are level with the floor. Think about the kinds of exercises that you prefer to do. If you are more of a yoga kind of person, then the colors you pick for the room should be soft and relax such as tender greens and soothing blues. If you are looking for workouts that are more intense, consider colors that will pump you up and make you want to move. When it comes to decorating your gym, think about items which will motivate you to keep going. The posters, photos, or signs should encourage you to keep going and push yourself all the way. Consider slogans or quotes that remind you why you are in this room and what reasons you are exercising. Equipment is a major factor in a home gym, but what specific equipment do you need and how expensive is the equipment are the two questions to ask. Home gyms do not need to be equipped with a lot of an expensive equipment as you find in a professional gym shops, but if you prefer the equipment then, you can include them in your gym. Consider a few factors before you make your decision. The first factor is what kinds of exercises you plan on doing. When you think about your workout, you want to remember to provide yourself with a variety of activities. Don’t just stick to cardio workouts or strength training, but a combination. For most men, building muscles are their main goal, but leaving out any cardio workout means missing out on a major problem of their health: working out their hearts. On the flip side, women focus more on cardio to burn calories and maintain weight, while shying away from wanting to build muscles. The challenge with this view is that building muscles doesn’t need to be a body building activity, but just about toning muscles. To complete building muscles and cardio work, you don’t need large, expensive equipment to accomplish this. Instead, you should make sure your home gym has a set of dumbells. You can get a set that provides many different choices or a set that is adjustable to take up less room. If you are just starting an exercise program, start with lighter weight and building up to the recommended 5, 10, and 15 lb weights. Five pounds don’t seem like much and a good place to start, but you risk injury. The second is a stability ball. A stability ball, which is not much more than a reinforced beach ball, is great for flexibility. Flexibility is necessary for men and woman. Woman are more likely to use one, but without adding flexibility, you could risk an unnecessary injury. The third essential addition to any home gym is resistance bands. A resistance band is a low-tech and inexpensive addition. These bands provide the same strength a dumbell does. You can start with just a basic band or go one step up to a system which contains extras such as attachments to doors. Going one step farther, you can invest in a suspension system. A suspension system will cost you a couple of hundred dollars, but provide 50 to 100 different exercises. A variety of activities is important because after about three weeks of the same exercises, your body will adjust and it won’t be as effective. The last piece of essential equipment would be “rope less” jump rope. These are weighted handles which are used to pretend to jump rope. You get all the benefits of jumping rope without having to deal with the flying rope that could hit other objects or cause damage to the floors. Finally, you can consider different big-ticket items such as a Bowflex or a treadmill. If you enjoy running and don’t mind the cost, consider putting a treadmill in your gym. There are many different machines that you can purchase and use. You can pick machines for under $1000 all the way up to over $8000 depending on what technology and options you want the equipment to have. When purchasing equipment, consider rubber mats for them to sit one, so they don’t damage your floor. If a home gym makes more sense for your situation, it doesn’t have to be a big and expensive project. Remember to consider all the reasons you would or would not want to have a home gym. The idea of having privacy, your own unique designed place, and a lot more flexibility are good reasons to build a home gym. Also, consider all the membership money you will be able to to save. Financially it might make more sense to build a home gym. When building a home gymit doesn’t have to be a big and expensive project, remember the kind of flooring, lighting, and circulation necessary. These three items are the most important “hardware” considerations you need for a home gym. The other considerations, such as the color of the paint or the motivational decoration, is all personal preference rather than necessary functional items. 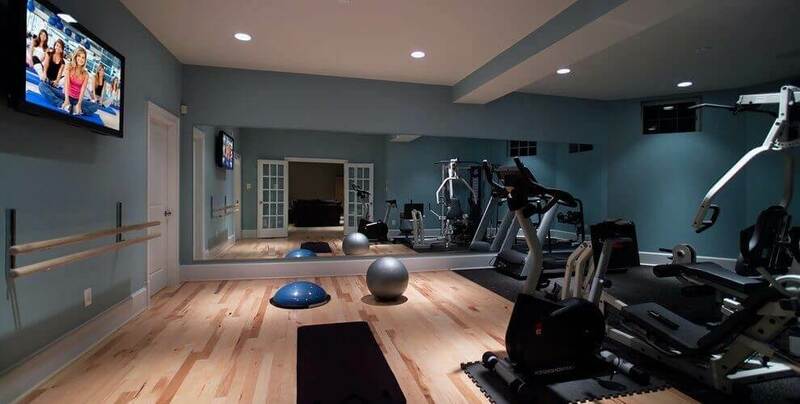 Last, remember you don’t need a room full of expensive equipment to create a room which fits all your exercising needs. Mixing up strength training and cardio is important. Also, remember to do a variety of exercises to keep your body from falling into a rut. This is best accomplished by equipment that offers a variety of exercises rather than a machine that only offers one or two exercises.